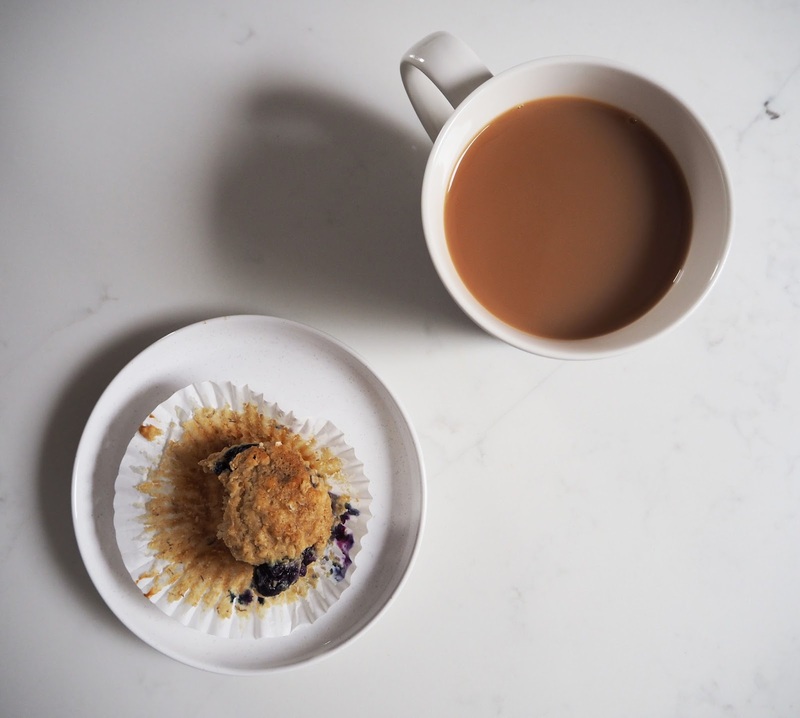 The ultimate breakfast muffin. 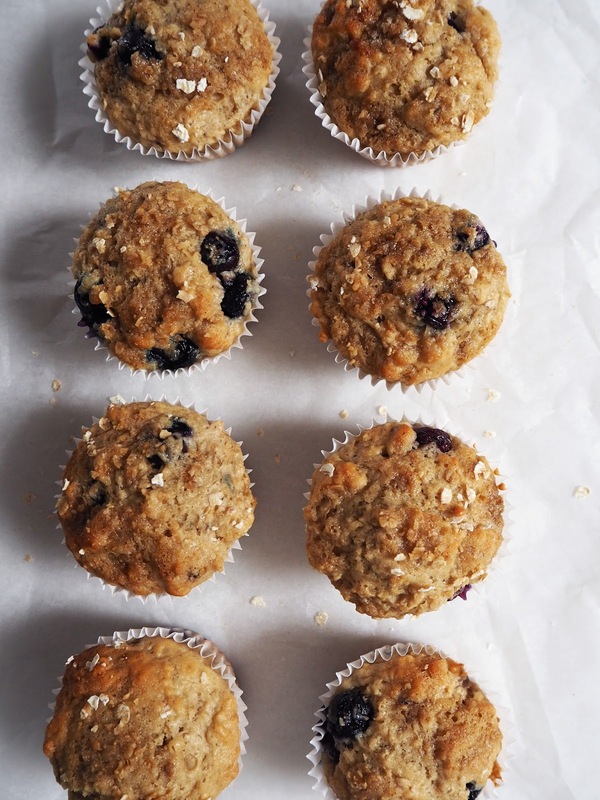 Super quick and easy to make, I regularly knock these up for a morning treat that you can grab on the go. They definitely don't last long once they're out of the oven. Preheat the oven to 180C/160C fan/gas 4. Line a muffin tray with cases. Add the flour and bicarb to a large mixing bowl. Add the sugar and porridge oats to the bowl, putting aside 1 tbsp of each for later and stir together. In a seperate bowl mash the bananas with a fork until smooth. Add the buttermilk, egg whites and oil and mix until evenly combined. Make a well in the centre of the flour mixture, pour in the liquid mixture and stir sparingly with a wooden spoon. It will be lumpy and may have the odd bits of flour still visible but don't be tempted to overmix. Add the blueberries and stir once more, distributing. Divide the mixture between the cases, they will be very full. Sprinkle with the remaining sugar and oats. Bake for 20 minutes; until rised and golden brown. Leave to cool for 5 minutes in the tray before moving to a wire rack to cool completely. Perfect paired with a cup of tea! Wow..thank you so much for this..My kids love muffins..And i feel it as a easy recipe..I will definitely try this..
and I hope this will be delicious one.I will be here to check more posts like this. I would love to have these with my morning coffee!